Learning and understanding how to fix up a home can be a good way to save money. However, certain areas of a residence should require professional expertise. Electrical installations and repairs can be dangerous and complicated. Attempting to do DIY work for electrical needs can lead to potential problems and as a result, can cost you a fortune to fix. Discover why hiring an electrician is imperative to correctly repair or handle electrical installations and repairs. There is nothing wrong with trying to learn how to make simple repairs in your residence. Nonetheless, even the smallest electricity repair can be more difficult than anticipated. Without expertise and/or trying to discover the quickest way to get an electrical repair fixed on your own can cause even more problems. For instance, it is easier to accidentally cut the wrong wire or cord. If you are not sure, it is best not to try and dive in. It would be rather unfortunate to pay even more to fix and clean up your damages in comparison to the smaller bill provided by an electrician prior to your DIY work. Always call an electrician because at the end of the day, they are professionals and will handle your needs with care. Are you aware that electrical elements must pass an inspection? Not only could DIY work lead to dangers, but if you fail an inspection, expect an enormous fine. For example, there are homeowners that believe they can hide repairs in attics or walls and realize they cannot sell their home because of a failed inspection. Hiring an electrician insures that your home will pass an inspection! We cannot emphasis enough that performing electrical repairs can be a dangerous task. There is a chance that a spark can occur and a fire can emerge. This is why it is crucial to hire an electrician—to avoid potentially destroying your home! 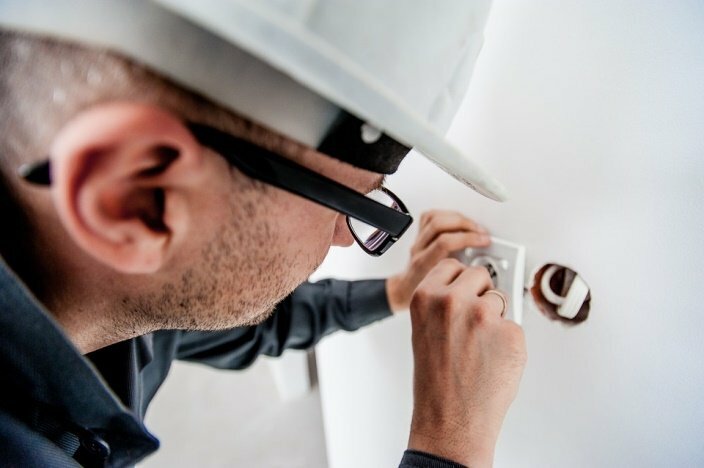 Licensed electricians understand the correct procedures and safety measures to complete before taking on an electrical task. Being careless or even slightly uninformed on how to handle an electrical problem can be catastrophic. Avoid any devastation by avoiding DIY work, especially if you are not highly informed on how to fix electrical work. As Seattle’s premier electric company, Kirby Electric specializes in commercial and industrial electrical solutions. We provide top electrical services such as, lighting retrofits, emergency service repairs, preventative maintenance, and electrical inspections that best fit your building’s needs. Contact us today and request a quote at (253) 859-2000 or online here to learn more about our services. To schedule an on-site, no obligation estimate, feel free to call us or fill out the estimate form. We can't wait to begin working with you! Kirby Electric, Inc. is a premier electrical contractor specializing in commercial and industrial electrical construction. We offer a wide array of services to meet the needs of our customers and ensure a smooth operation of our facilities. Copyright © 2016 Kirby Electric. All Rights Reserved.